PUNE, Maharashta (KP)--A recently organized seminar at the Amrit Vela Mandir located in Bhawani Peth, Central Pune, alarmed the Sikh community. Although the alleged purpose behind the seminar was to commemorate the life of Guru Nanak Dev ji, pro-RSS activities seemed to be the focus of the entire program that lasted five days. According to the Amrit Vela Ashram Committee, the program was organized to bring harmony to people, however its main focal point was to degrade Sikh practices and to cause blasphemy to Sikh values and beliefs. Such anti-Sikh activities included Parkash of Guru Granth Sahib Ji that was done amidst pro-Sanatan practices and in the presence of idols of Hindu deities. While addressing the congregation after the finalization of the program, Parshotam Das, head pujari at the temple, said that the birth of Guru Nanak Dev has special significance to the Hindu brotherhood. Commemoration of Sikh Gurpurabs has become an active part of the Hindu practices, as they are an easy way to mingle the two religons into one--the main motive of the Sangh Parivar. The Pujari held that similar programs needed to be organized throughout the country in order to put a stop to the increasing influence of westernization. Das said that Hindu youth needed to take a strong step to eradicate such influence, which was creeping into all aspects of life in today’s society. The program included a type of parbat pheri which is generally carried out only from Gurdwara Sahibs. It was taken out in order to lure local residents of Pune to join the pro-RSS celebrations at the Amrit Vela Mandir. An Akhand Path Sahib was also organized by members of the Swamsevak Sangis. Special efforts were taken to ensure large scale propagation of pro-RSS ideology at the celebrations. Trained musicians and scholars took part in the celebrations. An estimated crowd of over 2,000 was present at the final day of the program. The Mandir organization carried out their everyday practices, including aarti and murti darshan during the recitation of Akhand Path Sahib. According to reports received by Panthic Weekly, although the local Sikhs have condemned the incident, the event has largely been unnoticed by the SGPC despite having correspondence from the Pune Sikh community. While speaking to the Panthic Weekly, a local correspondent alleged that the Sindhi community was behind the organization of the function. The Sindhis are strong adherents of Guru Nanak Dev Ji but at the same time they also give respect to Hindu dieties. Although their beliefs are completely rested upon their community, to do parkash of Guru Granth Sahib where anti-Gurmat activities are carried out is not acceptable. The Amrit Vela Mandir belongs to the organization that holds similar programs across the world under the banner of "Holy Mission of Guru Nanak." Several institutions, such as the one in Pune have been established throughout India and also has offices in the United Kingdom. Sikh organizations have appealed to the SGPC and Sri Akal Takhat Sahib to conduct an inquiry into the incident and seek a ban on doing parkash of Guru Granth Sahib at unacceptable places and to increase awareness of the respect of Guru Granth Sahib Ji. For these types of activities to go unnoticed by the SGPC and Akal Takhat Sahib is a worrying cause, especially after the incident that took place at Fatehgarh Sahib where pro-RSS members held speeches and raised slogans praising Hindu dieties. 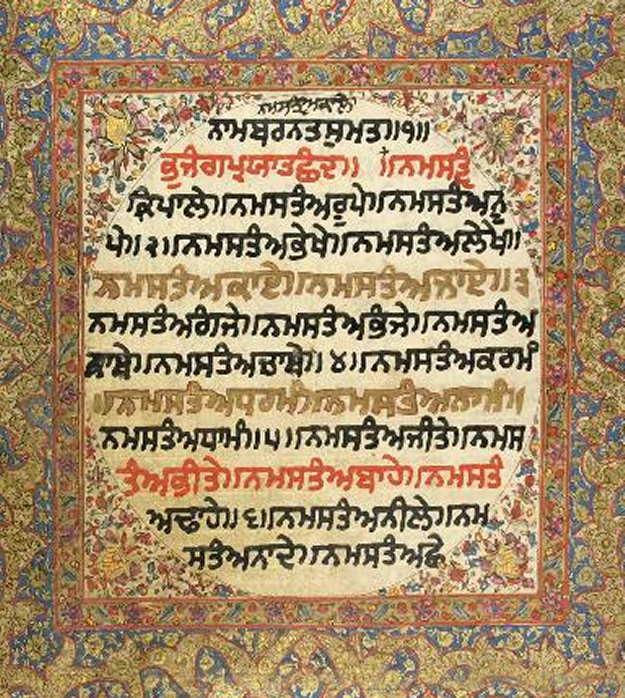 Considering these events and the recent expose of the UK based neo-Nangs--the Niddar and Kamalroop clan--there is also a big need for the entire Sikh Nation to come together to raise awareness and increase respect for Guru Granth Sahib so Sikh practices could be spared from the increasing anti-Sikh Sanatan propaganda. If Mandir and RSS wants the unity, they can install Kuran also in their temple. RSS is after Sikh, Muslim and Christian values. They are simply insecur and jealous of other successful religions. After 2000 years they are re-inventing the Hinduism ? Dumb kafirs.